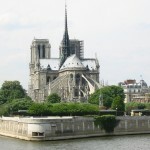 Paris, the capital of France, is one of the world’s most popular destinations. 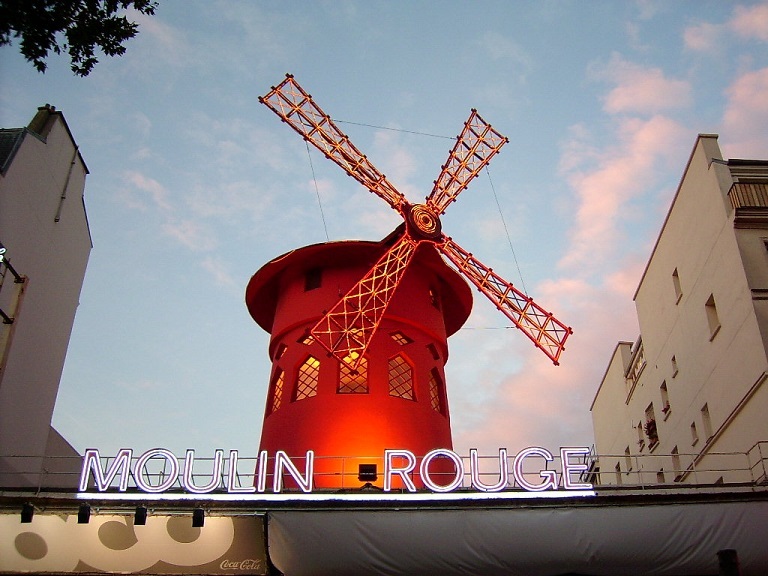 Set within a loop of the river Seine in the central Paris basin, Paris “Ville Lumière” has an unparalleled artistic and cultural influence. 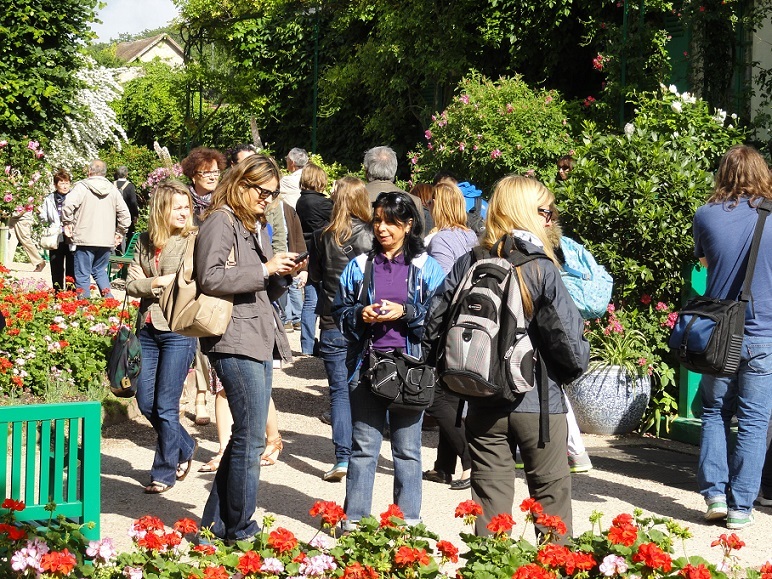 26 million foreign tourists visit Paris each year and have more than 150 museums and world-famous sights to choose from, such as Le Louvre, the Champs-Élysées, the Eiffel Tower or the Sacré-Coeur. 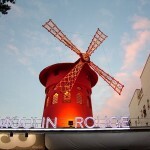 Paris is also the world capital of fashion, luxury and gastronomy. 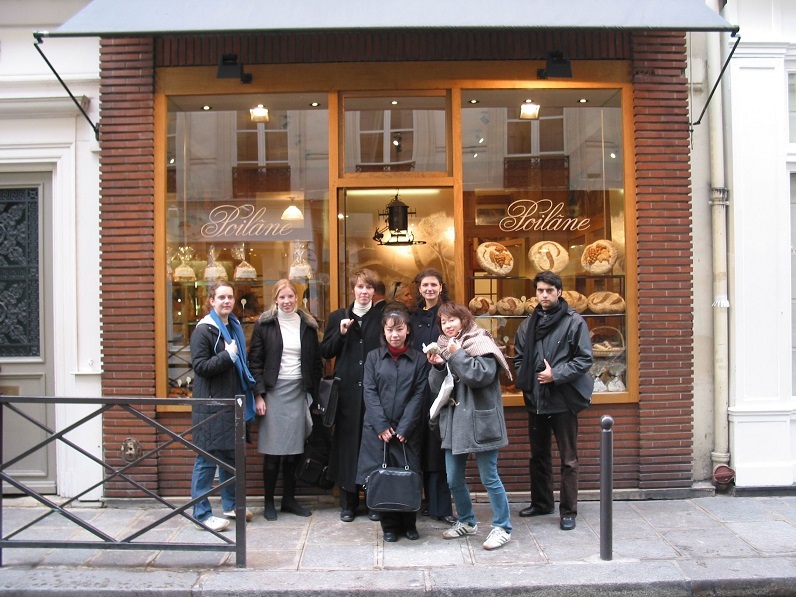 Ecole France Langue has been offering French courses in Paris to foreigners since 1976. 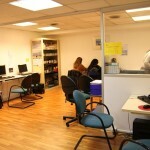 It has a dynamic classroom atmosphere with a multinational student body. In 30 years over 100,000 students from over 70 countries have attended intensive French language courses at this French Language school. France Langue enjoys two outstanding locations: one location near Place Victor Hugo, a stone’s throw from the cafes and shops of area and a ten minute walk from the Arc de Triomphe and Trocadero, close to both the business districts and the elegant residential neighborhoods of the 16th arrondissement, and a second location just two blocks from the Notre Dame Cathedral in an exceptional area of Paris: a few steps from l’Ile de la Cité, the Panthéon and the University quarter, it is a lively school with a young and dynamic atmosphere. The Victor Hugo location is housed in a beautiful townhouse and includes 14 classrooms, student lounge with vending machines, language lab, computer room and also free Wi-Fi throughout the school building. The Notre Dame location is housed in a historical townhouse, with 7 classrooms, a student lounge with computers and vending machines and free Wi-Fi throughout the school building. Notes: Minimum age: 17. All prices for French Courses listed below include: school enrollment fee, number of French language lessons as listed, some guided tours organized by the school (entrance fees to museums are not included), free-access teacher supervised media lab, internet access via school’s PC (max. connection time of 20 minutes per day), free unlimited WI-FI access. Books are not included and must be purchased at a local book store. Price: approximately 26 to 40 Euros depending on course chosen and level. 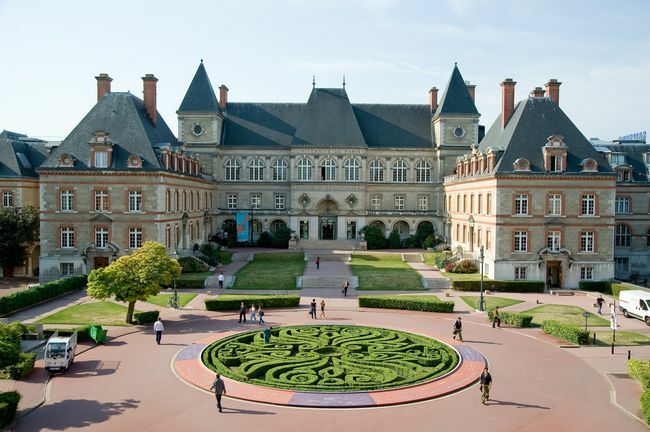 Note: France Langue also offers French Courses in Bordeaux, French Courses in Biarritz and French Courses in Nice. Programs can be combined between any of the schools, even after course is already in progress. 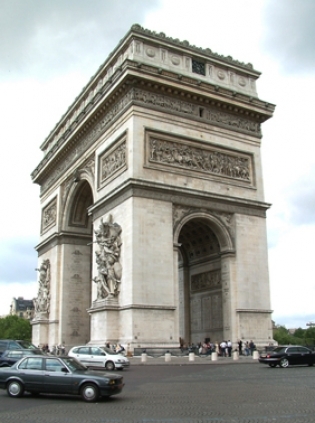 General French Courses – Group 12 (Max. of 12 students per class) Standard French Courses: 20 French lessons per week (each lesson is 45 minutes long) maximum of 12 students per class. Classes may be held according to the following schedules. Schedules depend on French level, and while every effort will be made to accommodate student’s requests, a specific schedule cannot be guaranteed. Mornings year round (Mondays 10:00 AM to 12:00 noon and Tuesday-Friday from 8:30 AM to 12:00 Noon) or afternoons year round (Monday-Friday from 2:45 PM to 6:00 pm). Intensive French Courses – Standard French Plus 6: 26 French lessons per week (each lesson is 45 minutes long), maximum of 12 students per class. Course is divided into two sections: 20 French lessons per week of Standard French course (see above) plus 6 specialized weekly lessons in oral and written communication, phonetics, speaking confidence and listening. 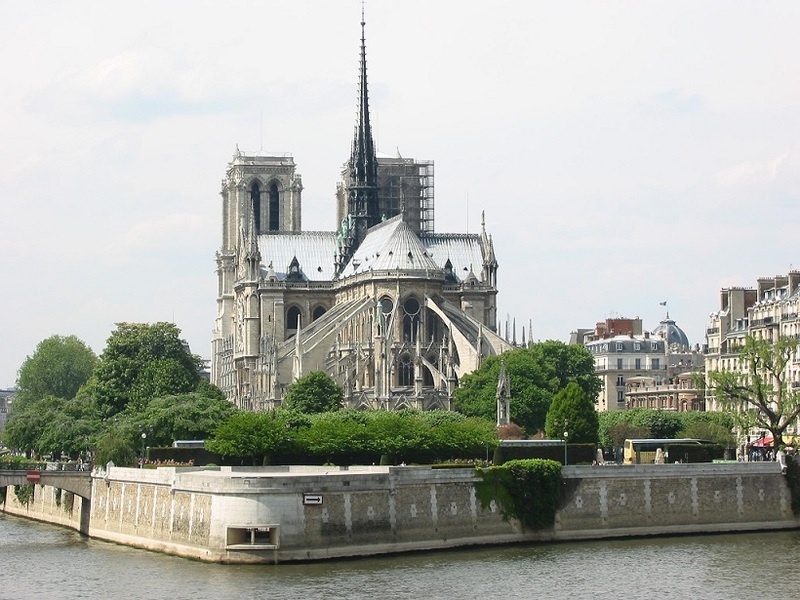 Schedule: Standard French course either mornings (Mondays 10:00 AM to 12:00 noon and Tuesday-Friday from 8:30 AM to 12:00 Noon) or afternoons (Monday-Friday from 2:45 PM to 6:00 pm)., with afternoon workshops in both cases (2 afternoons per week from 1:00 PM to 2:30 PM or 2:40 PM to 4:10 PM. Super Intensive French Courses – Standard French Plus 10: 30 French lessons per week (each lesson is 45 minutes long), maximum of 12 students per class.. Course is divided into two sections: 20 French lessons per week of Standard French course (see above) plus 10 specialized weekly lessons targeted to your needs or topics of interest (French Society, news, culture, etc.). Schedule: Standard French course either mornings (Mondays 10:00 AM to 12:00 Noon and Tuesday-Friday from 8:30 AM to 12:00 Noon) or afternoons (Monday-Friday from 2:45 PM to 6:00 PM), with 10 afternoon/evening workshops in both cases (from 1:00 PM to 2:30 PM and/or 2:40 PM to 4:10 PM and/or 6:00 PM to 7:30 PM). Combined French Course 26: 26 French lessons per week (each lesson is 45 minutes long). Course offers a combination of the 20 lesson per week Standard French Course (12 students per class maximum) PLUS 6 Private Specialized French lessons. Minimum level required: High Elementary (NO beginners). Course is divided into two sections: 20 French lessons per week of Standard French course (see above) plus 6 specialized weekly private lessons (business, tourism and hotel industry, legal, medical and diplomatic French are offered). 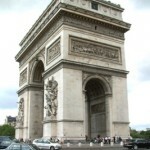 Combined French Course 30: 30 French lessons per week (each lesson is 45 minutes long). Course offers a combination of the 20 lesson per week Standard French Course (12 students per class maximum) PLUS 10 Private Specialized French lessons. Minimum level required: High Elementary (NO beginners). Course is divided into two sections: 20 French lessons per week of Standard French course (see above) plus 6 specialized weekly private lessons (business, tourism and hotel industry, legal, medical and diplomatic French are offered). All programs: NO application fee. A non-refundable USD 100.00 deposit is required at the time of enrollment. Deposit will be subtracted from final program invoice. See Application Procedures. ** Note: If you are interested in a long term course, please look below under "Special French Language Courses" for information on reduced pricing on long term programs on specific dates! 2019 Starting Dates for all group French courses at the Victor Hugo location: Elementary to Advanced students may start any Monday. Complete beginners must start on the following dates: 21 January / 18 February/ 18 march / 15 April / 13 May / 11 June / 15 July / 12 August / 9 September / 14 October / 18 November. 2019 Starting Dates for all group French courses at the Notre Dame: Elementary to Advanced students may start any Monday. Complete beginners must start on the following dates: 7 January / 4 February/ 4 March / 1 April / 29 April / 27 May / 17 June / 1 July / 29 July / 26 August / 30 September / 4 November / 2 December. Holidays 2019: 1 January, 22 April, 1 May, 8 May, 30 May, 10 June, 15 August, 1 November, 11 November and 25 December. Classes lost due to holidays are NOT made up but a discount of $48 will be applied to each missed day due to a bank holiday (not applicable to long term courses of 12 weeks or more)!. The Victor Hugo school is also closed from 21 Dec 2019 until 5 Jan 2020. The Notre Dame school will remain open from 23 December 2019 to 3 January 2020 for a special Christmas program. 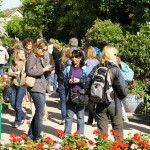 Long Term Standard French Courses — Special pricing offered for long term trimester programs on specific dates! 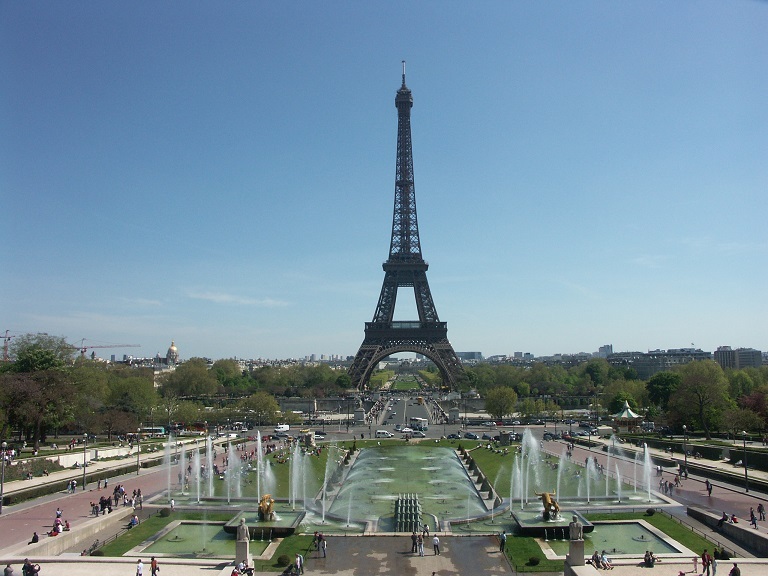 20 French lessons per week (15 hours per week), maximum of 18 students per class. Evening schedule (4:20 PM to 7:30 PM from Mon-Fri) – Long Term Trimester courses take place at the France Langue Notre Dame location! Starting dates for Long Term Trimester French Courses 2019: 7 January, 1 April, 1 July, 30 September. Long Term Intensive French Courses — Special pricing offered for long term trimester programs on specific dates! 26 French lessons per week (19.5 hours per week), maximum of 18 students per class. Evening schedule (4:20 PM to 7:30 PM from Mon-Fri) plus specialized modules (2:40 PM to 4:10 PM from Mon-Fri)- Long Term Trimester courses take place at the France Langue Notre Dame location! Long Term Super Intensive French Courses — Special pricing offered for long term trimester programs on specific dates! 30 French lessons per week (22.5 hours per week), maximum of 18 students per class. 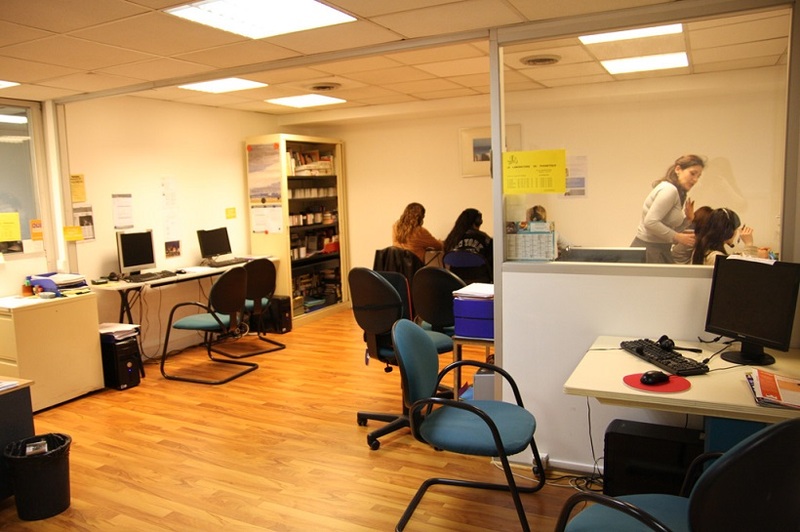 Evening schedule (4:20 PM to 7:30 PM from Mon-Fri) plus specialized modules (2:40 PM to 4:10 PM from Mon-Fri)- Long Term Trimester courses take place at the France Langue Notre Dame location! Starting dates for Long Term Trimester French Courses 2019 7 January, 1 April, 1 July, 30 September. 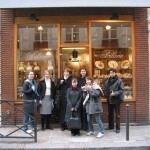 French Language and Gastronomy Courses! : Discover new tastes and new recipes based on local and typical products, while practicing French in a relaxed atmosphere, encouraging spontaneous conversation! Prepare the recipe of the day, specially selected to be easily made again when back home and enjoy the meals you make!. 20 French lessons per week (each lesson is 45 minutes long) maximum of 12 students per class plus 2 cooking/baking workshops per week (4 hours total), in small groups. Gastronomy portion consists of 4 hours of gastronomy workshops (cooking and/or baking) over 2 sessions. 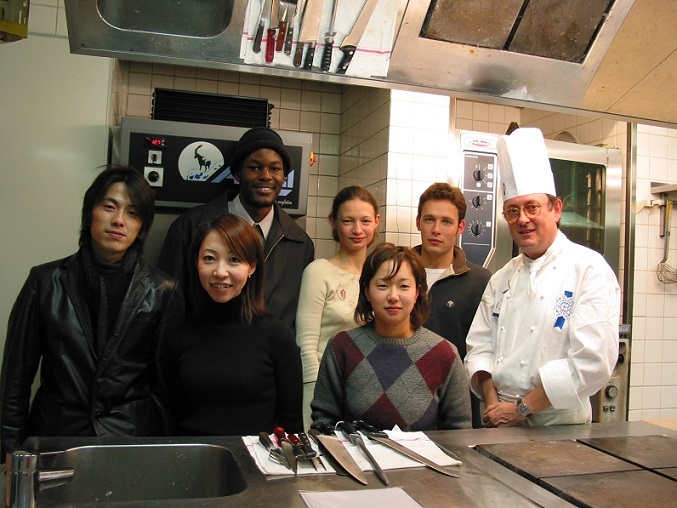 The workshops take place off-site at venues specialized in culinary training. Starting dates 2018 and 2019: For all levels except Beginners: Any Monday of the year. Complete beginners must start on the starting dates for group courses listed above. Group Course prices include school enrollment fee. 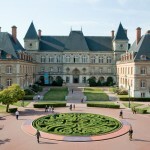 **includes both the French Language course and the cooking classes! 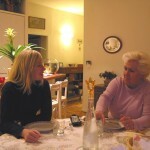 Accommodations are available in carefully selected local French host families. 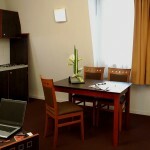 Accommodations in a University residence (summer only) or in hotels can also be arranged. Host Families: carefully selected local French host families offering private rooms and breakfast or half-board (2 meals per day: breakfast and dinner). 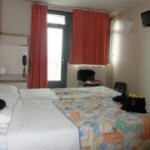 Families offering room (no meals) with full use of kitchen are available for bookings of at least 4 consecutive weeks. 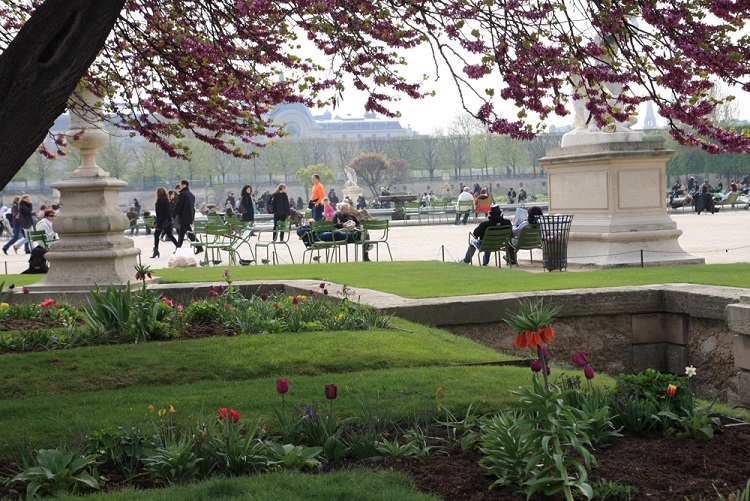 Families are located throughout Paris, Neuilly, Boulogne, and Levallois. “Superior” host families are also offered. These families offer private bathrooms, special diets or are located close to the school (20 minutes max by public transportation). Supplements apply. Please see pricing table below for supplement option pricing. Note: Prices for accommodations is now seasonal. 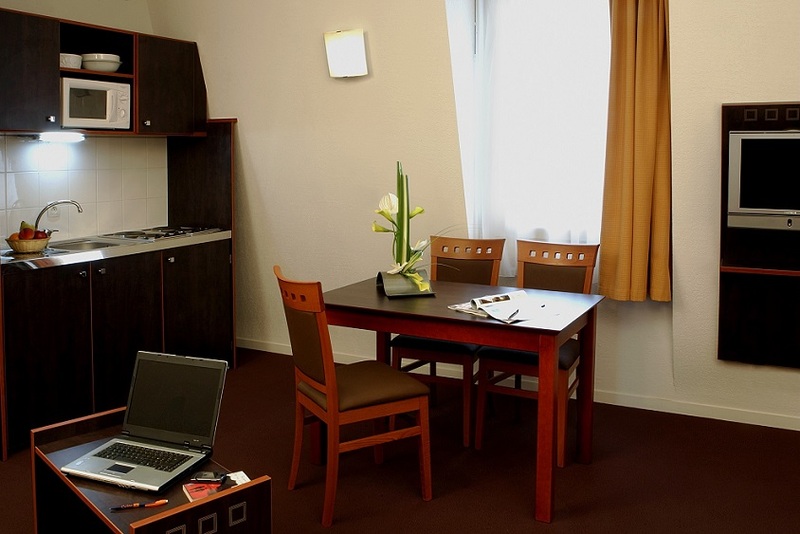 University Residence: (Summer ONLY) Located in the 14th arrondissement, in the southern part of Paris, “La Cite Universitaire” has a number of residence halls (available only in July, August and September). 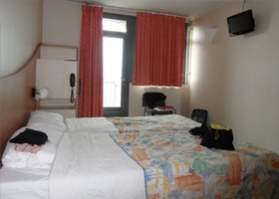 Single bedrooms with shared bathroom facilities. Meals available in the cafeteria. Note: Commute time from the residence to the school is over 45 minutes each way! 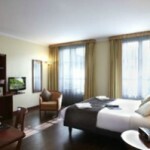 Hotels and Apart-Hotels are also available. Prices provided upon request, additional school placement fee of $100 applies to hotel bookings. All prices are in US Dollars and include school placement fee. Private Bathroom: Add &70 per week. Close to school: Add $57 per week. Special diet: Add $57 to half-board rate. *1st week includes Residence booking fee. Prices subject to change!! Airport Transfer: Airport transfers can be arranged upon request at an additional fee of USD 102 to USD 190 each way (depending on arrival airport). Transfers are only available from 6:00 am to 8:00 pm. PLEASE NOTE: All prices subject to change due to fluctuating currency rates. 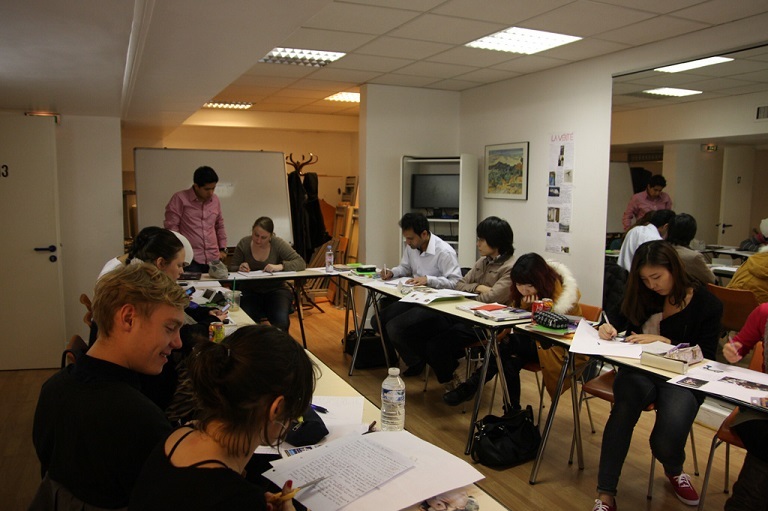 In addition to their French Courses, France Langue also offers a full program of cultural activities every week. Most guided tours arranged by the school are offered free of charge (entrance fees if applicable are the responsibility of the student). 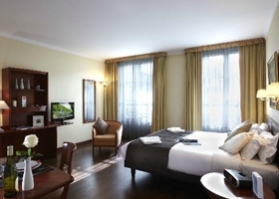 Excursions, opera, theatre and concert tickets are optional and offered at additional cost. France Langue has negotiated reasonable rates at a sports club so that students may play tennis, swim or practice other sports of their choice. 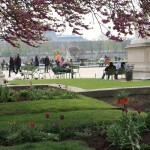 Every week, France Langue designs a program of activities chosen according to the season. All you have to do is enjoy your French experience! 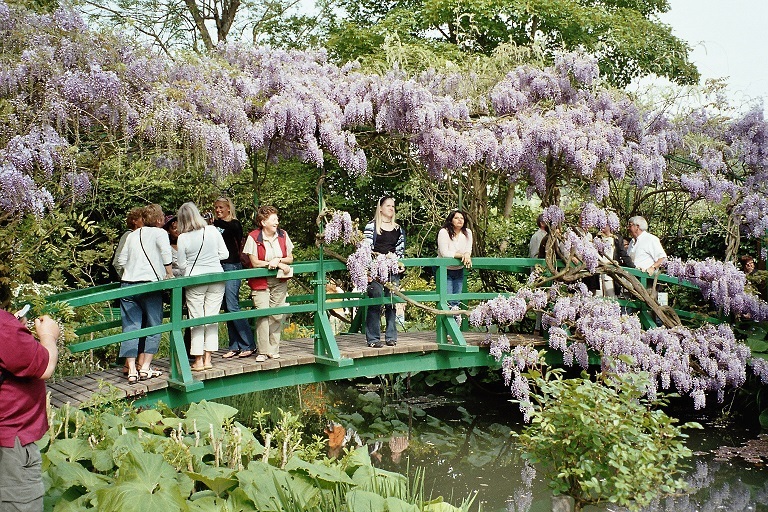 You’ll be able to explore typically French places that are not part on the well known tourist trail, and get a taste of real French life! 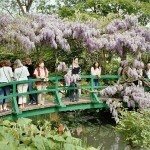 You can also benefit from special deals reserved for France Langue students: discounts, reduced price tickets and more. A list of these activities will be given to you Monday morning, at the welcome breakfast.